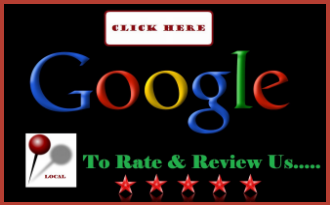 Air Supply Heating and Air Conditioning is a fully licensed, certified, and insured HVAC system contractor that takes care of the commercial business owners and residential homeowners in the Las Vegas, Nevada Valley. Our specialists are among the elite, having the necessary credentials and attributes in order to deliver superior results with all the services Air Supply Heating and Air Conditioning renders. 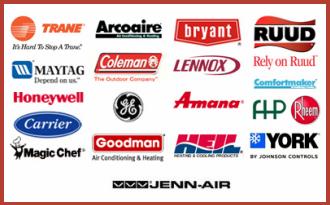 By using state-of-the-art equipment in conjunction with high-end products exclusive to licensed professionals, Air Supply Heating and Air Conditioning can ensure ultimate outcomes. With our customers being our biggest asset, we are consistently applying family-friendly customer service and traditional values to ensure an extraordinary experience. 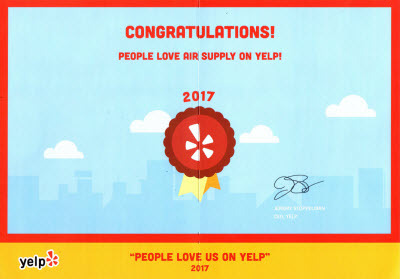 Air Supply Heating and Air Conditioning takes care of the central air conditioner of the homes and businesses across the Greater Las Vegas, Nevada area and the troubleshooting of the individual components including the capacitor. The most electro-mechanical and key components of the air conditioner are the capacitors. In an electrostatic field, the capacitor stores the energy. Providing the necessary jolt to start the motor in the first place, the capacitor is attached to motors to allow it to stabilize voltage. Capacitors are connected to the three main motors in the air conditioner; the blow motor, outdoor fan motor, and compressor motor. Each contains the start capacitor and the run capacitors in order for it to startup and keeps it operating. 1) Hard Starting. A common problem of a bad capacitor is the hard setting, which makes the compressor of the air conditioner difficult to start up; as it stutters to start only to then shut off after a short while later. Hard starting occurs for a number of reasons; the worst of it would be due to the compressor reaching the end of its lifespan. To diagnose an issue with a start capacitor problem, Air Supply Heating and Air Conditioning technicians will first perform a visual inspection and assess for any obvious signs of damage that include bulging, leaking oil, and splitting as well as run additional electrical tests. 2) Humming Noise. A capacitor may still attempt to start if one or both of the capacitors has failed and the motor connected is running, but it will not remain running for long. The motor will begin to grow hot and will eventually burn out if it continues, which will then require a motor replacement. In the event that the motor will not stay on and when it is operating you hear a humming sound, immediately shut the air conditioner off and contact Air Supply Heating and Air Conditioning for immediate repairs. 3) Clicking Noise. Prior to the capacitor failing, you may notice a clicking sound. The compressor or the fans will cease to work if the problem that is indicated by the noise transpires. Damage or a loss of charge to the capacitor will result in a replacement. Air Supply Heating and Air Conditioning can quickly replace the capacitor safely and efficiently. 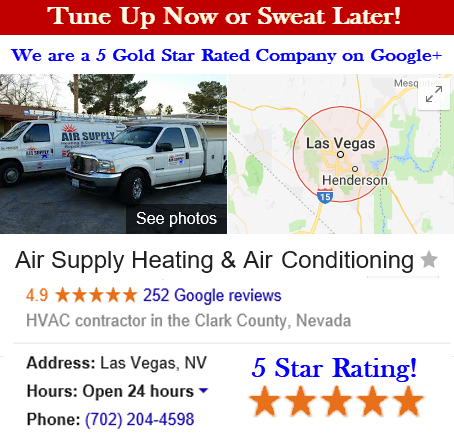 If your Las Vegas, Nevada Valley home or business’s air conditioner is experiencing issues with the capacitor, contact Air Supply Heating and Air Conditioning today and let our specialists help get your air conditioner operating back to its full potential.